The Capri, Hollywood Award for ‘Best Score of the Year’ to the“La La Land” soundtrack. The original American romantic musical is written and directed by Damien Chazelle with a score composed by Justin Hurwitz. This marks the second Capri award for “La La Land”, the other being the previously announced ‘Best Ensemble Acting’ award. ‘Best Traditional Pop Vocal Album’ to the internationally renowned singer Andrea Bocelli for his latest album, “Cinema”. The ‘Capri Legend Humanitarian Award’ to the Malaysian entrepreneur-philanthropist Francis Yeoh for his philanthropic activity by way of music. “Each of these three awards are very significant in their own way,” said Vicedomini. “Sir Francis Yeoh is a true supporter of the arts on a global basis; Andrea Bocelli is a world-class performer whose new album is a tribute to the music of cinema, and the score of ‘La La Land’ is impactful and memorable and set the tone for this year’s movie music. We are thrilled to be honoring them at Capri, Hollywood. The awards will be presented the evening of December 30th during the Festival’s 21st edition which takes place on this picturesque isle off the coast of Naples from December 27th through January 2, 2017. Highlight of the evening will be a performance by classical singer Carly Paoli, who last May was asked by the Vatican to adopt her song 'Ave Maria' to be the official song for Pope Francis' 'Jubilee for Mercy’ celebrations. The song rapidly became a No1 hit on the iTunes Charts in the UK, Italy, Singapore and Malaysia. On December 26th, Carly will return to Rome to headline 'La Dolce Vita,’ a concert devoted to Italian cinema music. Written and directed by Academy Award® nominee Damien Chazelle, and featuring an outstanding cast which includes Ryan Gosling, Emma Stone, John Legend, Rosemarie DeWitt, and J. K. Simmons, “La La Land” is set in modern day Los Angeles and tells the story of Mia (Stone), an aspiring actress, and Sebastian (Gosling), a dedicated jazz musician, who are struggling to make ends meet in a city known for crushing hopes and breaking hearts. The film from Lionsgate’s Summit Entertainment, which will be released in Italy by the Leone Film Group, will screen on the evening of January 1st. 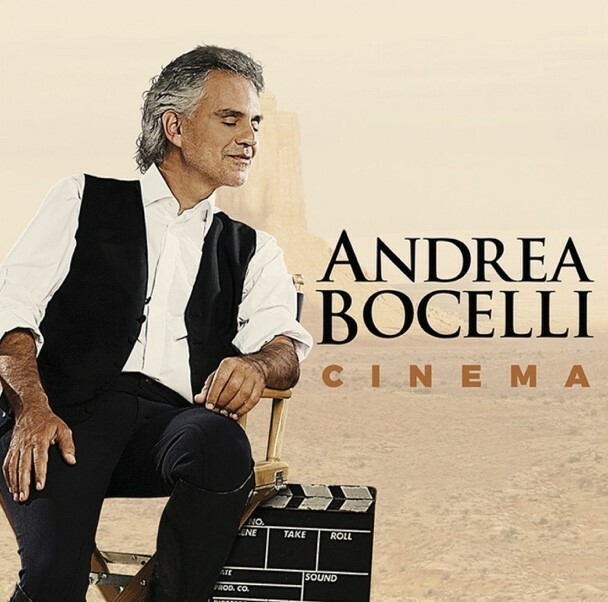 Andrea Bocelli’s “Cinema,” nominated for a Grammy Award in the ‘Best Traditional Pop Vocal Album’ category, features renditions of songs from classic film soundtracks and scores including “Maria’ (“West Side Story), “Lara’s Theme” (“Dr. Zhivago), “The Music of the Night” (“The Phantom of the Opera”), “Moon River” (“Breakfast at Tiffany’s”) and “Cheek to Cheek” (“Top Hat”). The album was produced by Tony Renis, David Foster and Humberto Gatica. Tan Sri Dr Francis Yeoh is Managing Director of YTL Group of Companies. He took over the running of his family company in 1988 and grew it into a global Infrastructure Development conglomerate. Ranked as one of "Asia's 25 Most Powerful and Influential Business Personalities" by Fortune and Business Week, he advocates Godly stewardship of business. He is also on the Advisory Councils of London Business School, Wharton School and INSEAD. n 2006, Tan Sri Francis was awarded the Commander of the Most Excellent Order of the British Empire (CBE) by Her Majesty Queen Elizabeth II. supports environmental conservation and renewable energy initiatives, serving on Nature Conservancy's Asia Pacific Council. He champions the arts and co- founded the Kuala Lumpur Performing Arts Centre. 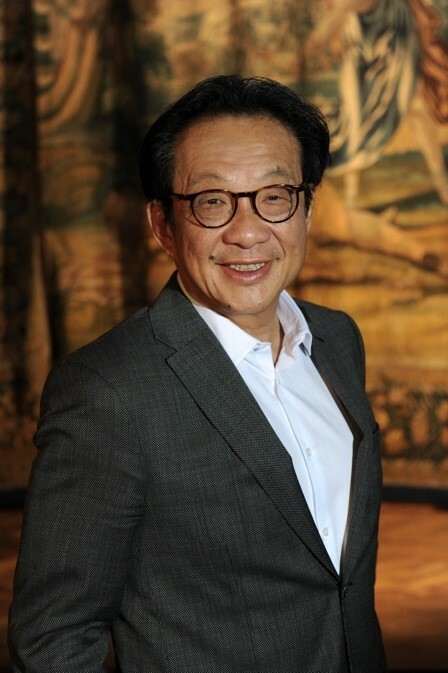 He is Regional Chairman of International Friends of the Louvre. Capri, Hollywood 2016 will be presided over by Barry Morrow (Oscar-winner for the screenplay of “Rain Man”) and by Israeli singer Noa. This year the Festival will revolve around the theme of “Mercy” and will include such special guests as director Gianfranco Rosi, whose “Fuocoammare (“Sea of Fire”)” is Italy's Best Foreign Language Film entry in the Oscar's, will be recognized as ‘Best European Film’ and ‘Best Documentary of the Year’; Israeli Amos Gitai, who will receive the "Capri Award” for his Lifetime Achievements; and to American producer Bill Mechanic, who has been named ‘Producer of the Year’ for Mel Gibson’s "Hacksaw Ridge". The 21st edition of Capri, Hollywood is supported by MIBACT (D.G. Cinema), and the Campania Region in collaboration with the City of Capri and the Municipality of Anacapri, as well as a number of private sponsors.